Thanks to Bill McClurg and Barnett Photography for the pictures. DustmxAcademy turned up ready to race at round two, with all riders working out of the Race van. 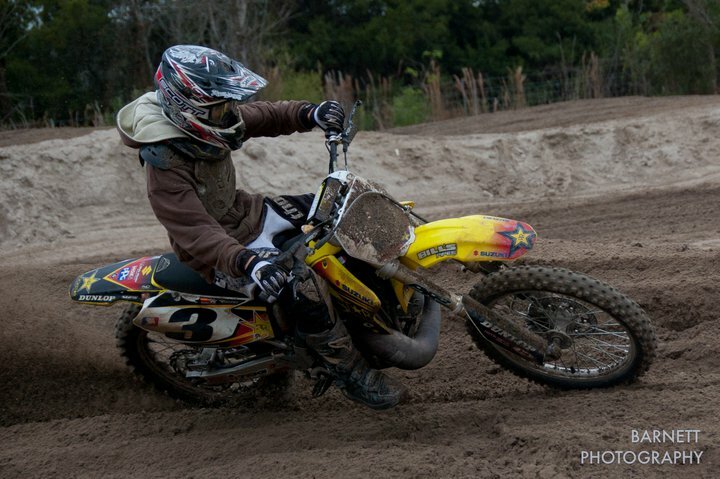 Kyle Smorenburg DustmxAcademy rider spun the rear wheel on the concrete and had a real bad start. He managed to square up turn one and had a straight shot into the second turn he came out in around 6 place! He would then get to work, pick riders off some two at a time eventually making his way into first though Chase Butner would make it hard for him. He had a good ride going, until little mistakes dropped him back. Moriah Gottschalk from Revolve Racing rode consistant with 3-2 for the day which gave him second overall. 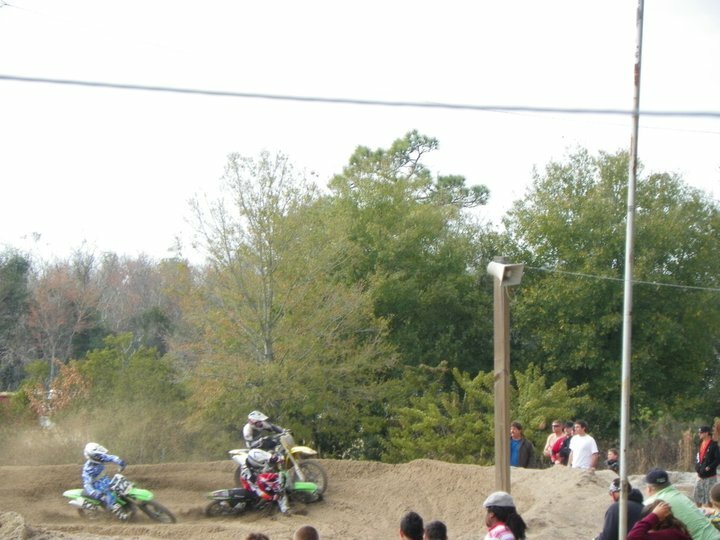 Kyle Smorenburg held the flag high for DustmxAcademy once again going 1-1 Kyle Mcclurg got third with 4-6 finishes. Ck Douglas dominated this class showing speed no one could match. In the first moto, Brinsley Dyess would push hard to try to keep the distance down and this would keep her clear of the rest of the pack. She was followed by Tyler Meyer who would get the better of Brinsley by getting second place in moto two. It was Ck Douglas 1-1 Tyler Meyer 3-2 Brinsley Dyess 2-3. Peter Sorensen was eager to get into his second race, he felt stronger and worked on some problems from the previous week. It showed, Sorensen got out to a good start, after a few laps worked his way passed Scott lang into second place. 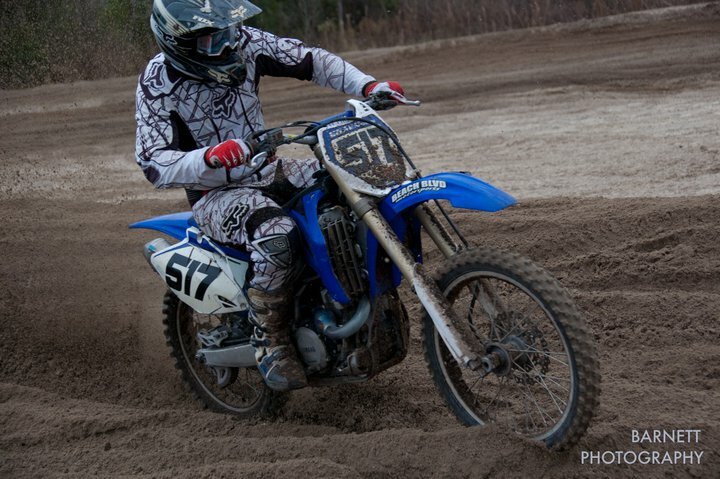 John Getz got out to a great start on YZ125 and pulled a big lead for the moto 1 win. Moto 2 saw Scott Lang up front with Sorensen who had another great start off the concrete, this time Sorensen dug deep and was able to hold off the efforts by Getz. It was Sorensen 2-1, Getz 1-2 and Lang 3-3. This class normally only one or two riders that attend had a few really fast riders, and at the top Zack Freeberg once again showing that he has the speed, fitness and determination to be a pro rider, never letting off the whole moto he would have the 1-1 finish. 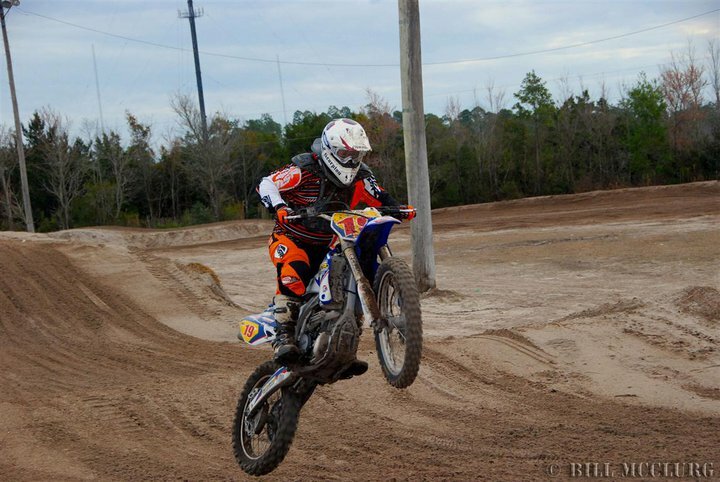 Brandon Westberry who I have heard has been training with Zack and Adam, put in a strong first moto finishing second, Ian Chia back in south florida was third in moto one he would grab second in moto 2 for second overall. What an epic class, the biggest class of the day filled with young kids with no fear! 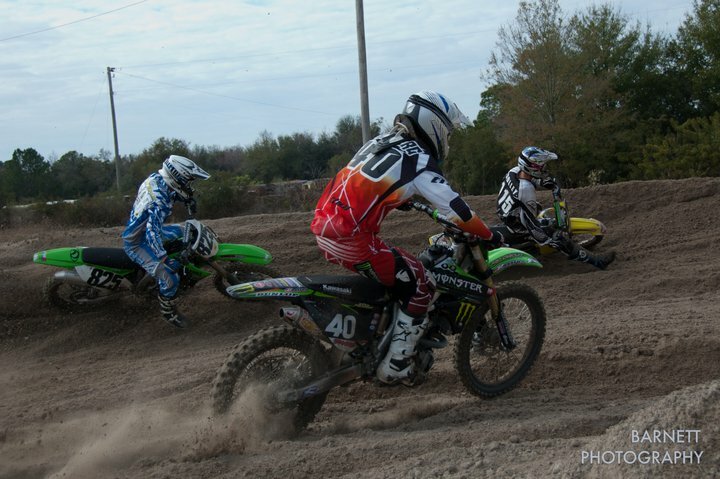 Moto 1 DustmxAcademy rider Kyle Bangerter, second race in the C class got off to a great start and was mixing it until a few mistakes and a bad shoulder slowed him down but he is showing true grit. Nathan Anderson got out to the early lead, Anderson only a year ago lost out in the D class series championship by 4 points. Has taken his riding to another level, he pulled a decent gap mid way through the race but ended up dropping the bike and restarting in the back of the pack. This left Raymond Johnson out front to take the win followed by Jason Gillespie and a hard charging Cameron Fasnacht who came back from a terrible start. A huge battle with Raymond Johnson, Jason Gillespie, Tharsis Andrade, and Cameron Fasnacht. Johnson had the lead with Gillespie hot on his heals trying all kinds of lines, Andrade was right in the mix waiting for a mistake. A lot of people ruled out Fasnacht due to his start again unable to get off the concrete. Fasnacht picked his way through rider after rider and eventually put a great pass on Johnson on the last lap for the win. However Johnson had the overall with a 2-1 Fasnacht second 3-1 Gillespie third 2-3. 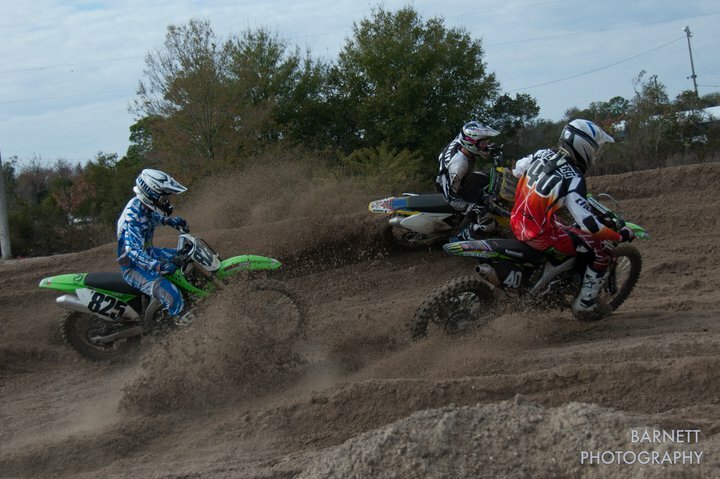 DustmxAcademy riders Peter Sorensen and Kyle Smorenburg were both looking to top the tables and it started great for Sorensen who had the holeshot. He managed to get a good gap after two laps Smorenburg however struggled with his start he got into second and had some time to make up. He closed right in but Sorensen rode his own lines at his own speed and never cracked under the pressure to take the win, Smorenburg was second with Roberto Guzman (lococross) in a well deserved third. Roberto Guzman had the holeshot, after one lap he still had the lead he was fighting as hard as he could until he ran tired. Sorensen took the lead this time Smorenburg was close behind and made the pass for the lead though he would drop the bike pick it up and find himself in second. Sorensen feeling the affects of the rough track nearly crashing twice gave the position up to Smorenburg, and Smorenburg would crash again this time he was not able to pass Sorensen who went 1-1 Smorenburg 2-2 Guzman 3-4. What a race for those there to witness it, I’m sure you cant wait for the next round. Derek Hall once again grabbed the holeshot from the outside and launched his way over the first ski jump, somehow Zack Freeberg managed to get his 250f into second place, Donald Solley would be in third. Hall would set a blistering pace which would separate those three from the rest. Solley would get by Freeberg and set his sights on Hall, Hall for the second week in a row just got the bike that day with no practice started to make some mistakes. Then just before the finish line Hall bobbled in the whoops Solley saw the opportunity and got slightly inside of Hall to make the pass. Those few mistakes slowed both and Hall and Solley down going into the final turn, Hall Started to square off the turn to try to get Solley back, but Freeberg with a good drive through the whoops came right up the inside of both the riders. Hall was able to avoid all contact and still square the corner up, Freeberg would come together with Solley forcing him over the berm. Hall not having the traction he needed up the inside settled into second behind Freeburg. Solley did not go down and went on hot pursuit of the two riders ahead of him. He would get by what would seem to be a tiring Hall, Freeberg was doing his best to pull away though you could see the 250F just lagging in the deep sand corners. Solley every lap around the outside line leading to the middle table top seemed to close in on Freeberg, he would eventually use this and jump right next to Freeberg. Solley just about inline with Freeberg off the jump with the inside line and 450 power, needless to say he was wanting pay back and ran Freeberg up the berm. As they came round to complete another lap the same turn Freeberg made the move on Hall and Solley he missed his line and went over the top. Freeberg kept it on two wheels and set after Solley. Solley had a good pace going although something happened over in the back and Freeberg cam out in first with Solley around 15 seconds back. The race would end up with Freeberg 1st, Solley 2nd, Hall 3rd, Ian Chia 4th and Derek Borque 5th.